Crime reporter Peter R. de Vries has told the trial of Willem Holleeder that Holleeder disapproved of his decision to write a book about the Heineken kidnapping with fellow gang member Cor van Hout. The book, De ontvoering van Alfred Heineken, was published in 1987, four years after the events it describes. It became a bestseller and the basis of the 2015 film Kidnapping Mr Heineken, starring Anthony Hopkins. 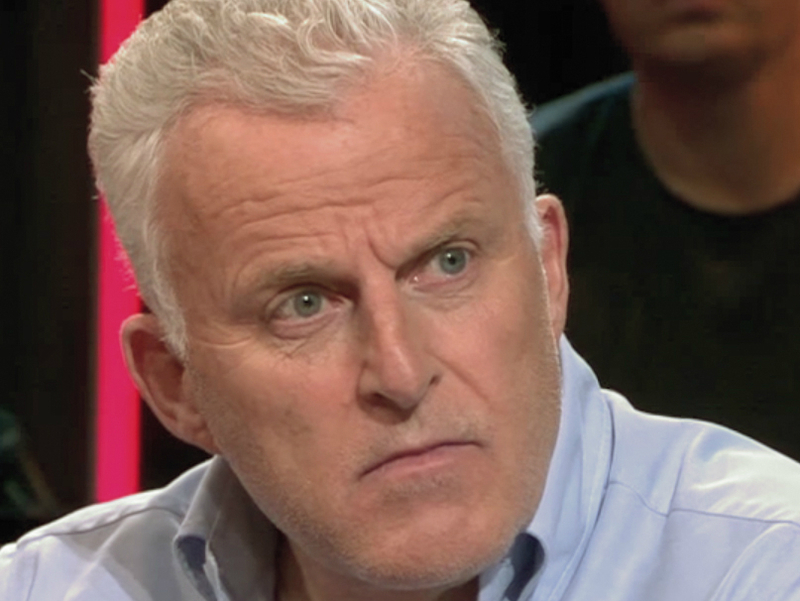 The film triggered a fall-out between De Vries and Holleeder, who accused the journalist of enriching himself at his expense. Holleeder was given a four-month jail sentence for threatening De Vries on his doorstep in 2013 in front of his family. De Vries also played a key role as an advisor to Holleeder’s sister Astrid when she decided to testify against her brother for his role in a series of underworld killings, including that of Van Hout in 2003. Holleeder, 59, is on trial in Amsterdam accused of ordering five murders as well as facing one charge of manslaughter. Other alleged victims include the corrupt property magnate Willem Endstra, who was killed in 2004. The start of the hearing was delayed when De Vries stormed out of the high-security court building known as ‘De Bunker’ when he was asked to take his shoes off at the metal scanner. The journalist argued the request was disrespectful to a witness who had himself faced threats during the case. The judges discussed issuing an order compelling De Vries to return to court, but the stand-off was resolved when he returned to the building 45 minutes later. When the trial resumed, De Vries told Janssen he first got to know Holleeder and Van Hout in Paris in 1984 while they were on the run from Dutch authorities following the Heineken kidnapping. He said he was ‘extremely intrigued’ as to how the gang had ‘managed to commit such a sophisticated crime that the whole world was talking about’. The journalist agreed to split the proceeds from the book on a 2 to 1 basis, with Van Hout taking a two-thirds share. Plans for a film in 1987 fell through when Van Hout refused to grant permission to De Vries, even though negotiations with a Hollywood producer were at an ‘advanced stage’. De Vries said he remained friends with both Holleeder and Van Hout after the pair fell out in 1996 following an attempt on Van Hout’s life. Holleeder paid out on a €1 million blackmail demand to the would-be assassins, an act which Van Hout saw as a ‘betrayal’, De Vries said. He also became closer to Van Hout’s wife and Holleeder’s sister, Sonja, whose evidence against her brother is one of the main pillars of the case against him. Sonja and Astrid Holleeder, together with Holleeder’s ex-partner Sandra van Hartog, have all been given witness protection and testified in court from a concealed witness box.